Most of us have had some exposure to the “AI Awakening” wave that has emerged over the past few years. Of particular interest to Arkieva and its customers is how this “new technology” integrates with the ongoing journey of creating more intelligent supply chain decision-making process to improve organizational performance. What is Blockchain Technology Worth to Your Supply Chain? With the advent of Bitcoin in 2009, cryptocurrency has taken the world by storm. The use of digital assets as an alternative to conventional currencies has garnered praise and recognition for its secure and speedy protocols. While the infrastructural flexibility of crypto currencies is yet to stand the test of time, block chains, the underlying technology for crypto currencies is truly a revolutionary step in the field of technology. Companies such as the Swiss Stock Exchange, IBM and Deloitte have already begun implementing block chains into their technology to define transactions and improve security and transparency. 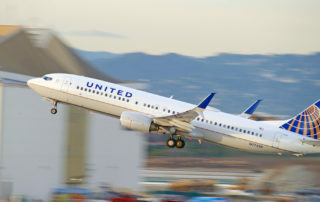 What demand planning lessons can we learn from the recent United Airlines Overbooking Issue?